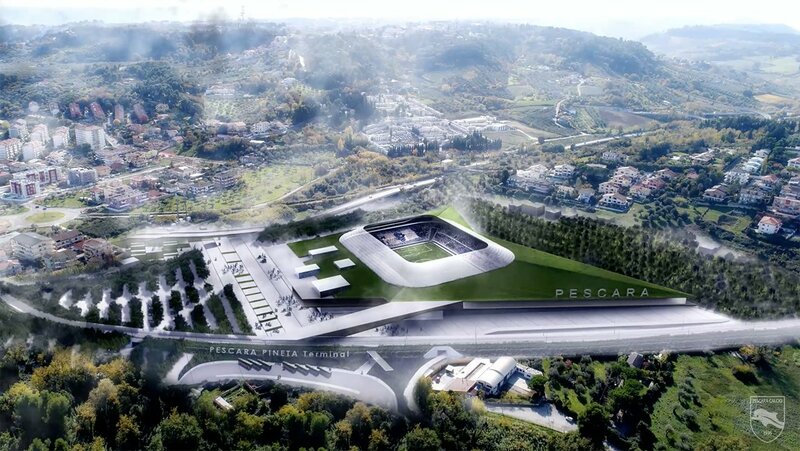 New football stadium in the Italian city of Pescara is planned just under 1 km south-east from the aged Stadio Adriatico. This also means further away from the centre and thus forces a change in spectator habits, forcing fans to use transportation more often. However, the site is equipped with good road network access, a bus terminal is planned nearby and even a railway station is possible. The stadium will be incorporated into a much greater project, altogether occupying 118,000 square meters and thus becoming the city's biggest private leisure development. Aside from the sporting use, the 20,700-seater will offer convention use, significant commercial spaces and high quality public space for residents on a daily basis. Main plaza east of the stadium will be built on top of 1,600 parking spaces. 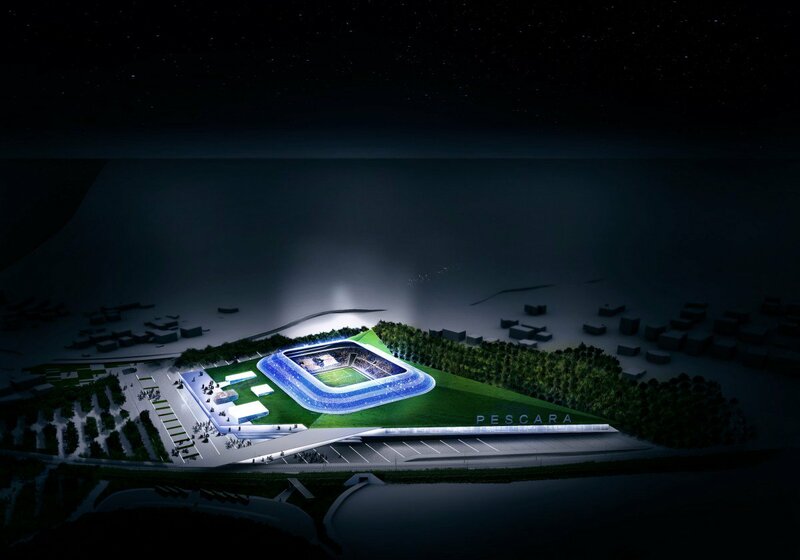 Planned as continuation of the city's major green areas, the stadium will be partly covered with grass and sustainability is among the key concerns. 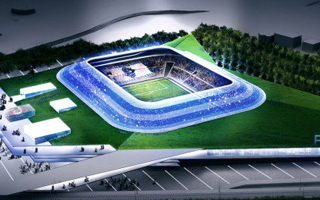 Pescara Calcio hope that their home will be among the first Italian LEED-certified stadia. While it's expected to be a private project, it will benefit from preferential credit from Istituto del Credito Sportivo, as well as support from local council and the Italian Olympic Committee.